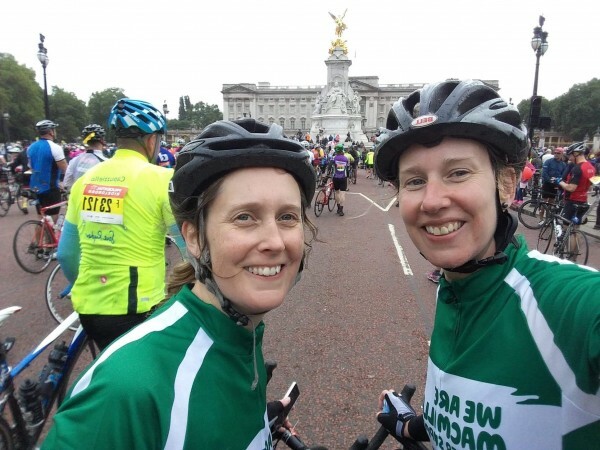 Two sisters from Cambridgeshire have signed up to a tough 100-mile cycle ride in memory of their friend and to raise funds for local charity Jigsaw (South East). 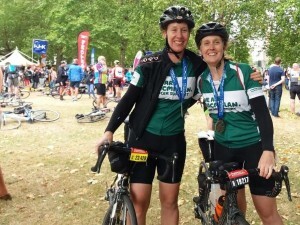 Heather Lay (41), an accountant, and Morven Langdon (39), a nurse, joined thousands of other cyclists on Sunday 29 July at the start line at Queen Elizabeth Olympic Park, before following a 100-mile route on closed roads through the capital and out into rural Surrey, finishing on The Mall in central London. The sisters wanted to use the opportunity to remember and honour their friend Vicki Bullock who, aged just 43, lost a bravely fought battle with cancer in autumn 2017 leaving behind a son and partner. “Ride London was an truly amazing experience and we completed it in a total of 7.37 which included our stops so we are really pleased as it was a tough wet and windy ride. We had soggy socks within 5 miles! It was wonderful to see some of the London sights as we sped past and finishing on the Mall, seeing all the crowds and meeting our families was wonderful and very emotional. We feel totally overwhelmed by the support we’ve received from our friends, family and people we don’t even know. 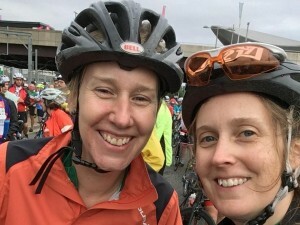 The sisters are both keen cyclists and put in lots of training ahead of the ride which followed a route made famous by the world’s best cyclists at the London 2012 Olympics. 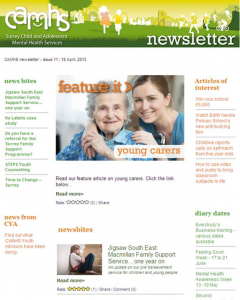 support to children and young people who have a family member with a serious, life-limiting condition. 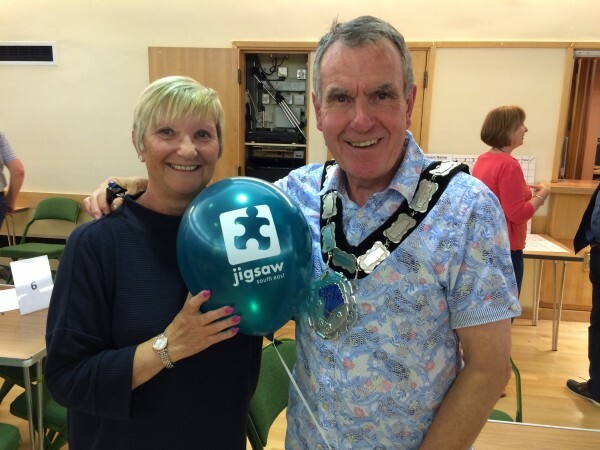 It also provides grief support to children and young people in Surrey and parts of West Sussex who have experienced the death of a significant family member through illness, accident, suicide or murder (through groups in Reigate and Guildford and East Grinstead). Sponsor the dynamic duo here.